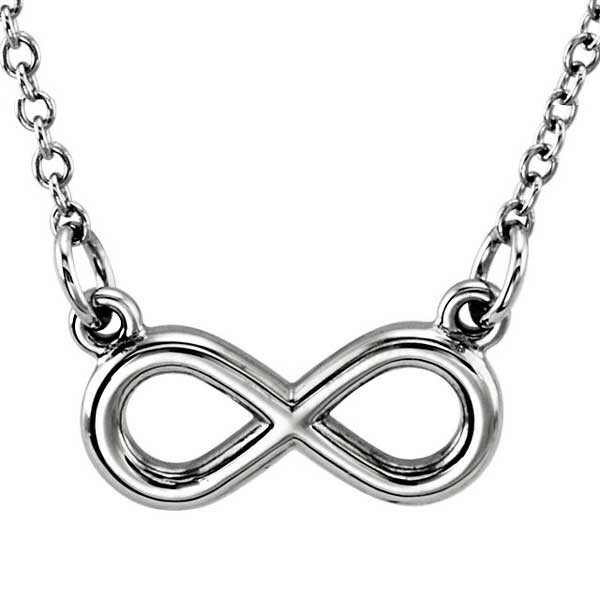 This small infinity necklace is big on symbolism! The constantly-in-motion icon is crafted in 14kt white gold, suspended from a 16" chain. There's no beginning or end to this piece, and no end to the number of times you'll wear and admire the necklace, either!